Dr. Carl Thornfeldt developed a theory about what was driving the skin concerns his patients were facing. He spent the next thirteen years working with different research teams doing breakthrough research. First they made groundbreaking discoveries in how the skin functions. Then they did original research on therapeutic botanical ingredients and delivery systems. All of this exceptional research was considered in the creation of Epionce product line. 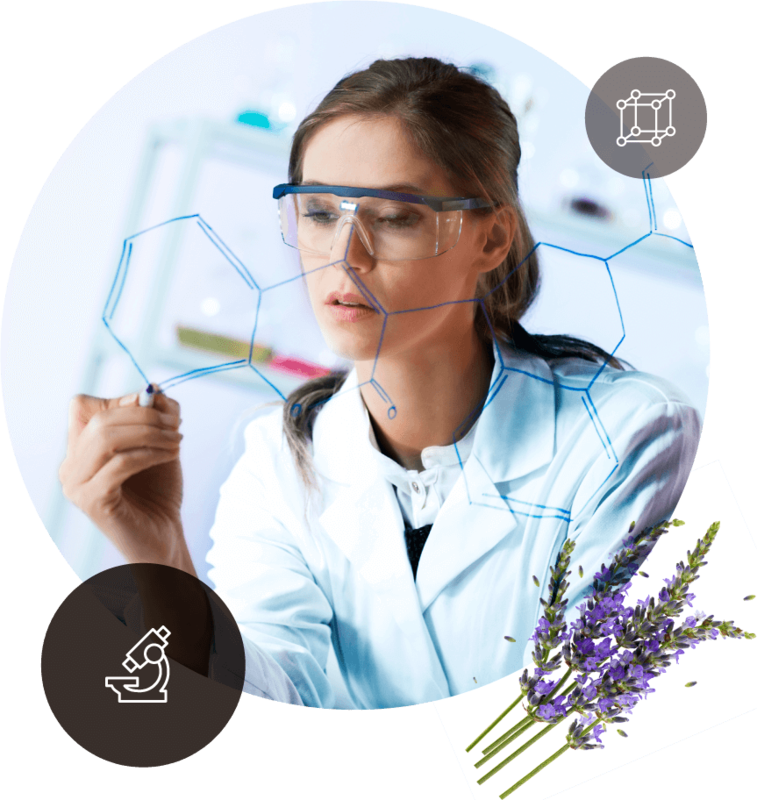 The level of fundamental and innovative research that was incorporated into Epionce is one of the things that makes the Epionce products unique. The products are not created by a private label manufacturer who is creating similar formulations for multiple brands. Rather the technology and ingredients are exclusive to the Epionce brand. After years of trial and error, Dr. Thornfeldt partnered with a formulation chemist previously employed at one of the major beauty companies in the world. Together they developed the initial Epionce product offerings, formed the company Episciences, Inc., and launched the Epionce product line at Dr. Thornfeldt’s medical practice. 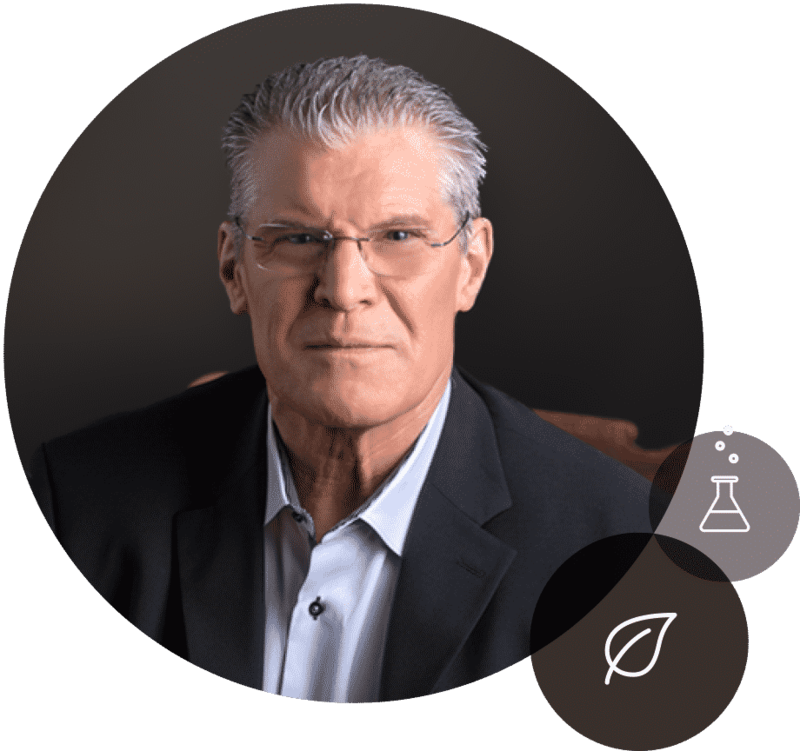 Dr. Thornfeldt believed that it was imperative for the Epionce products to be backed by the kind of clinical studies he would expect to see as a physician. He wanted to ensure that the technologies in the Epionce products moved beyond theory, but could be proven to actually work through rigorous clinical testing. 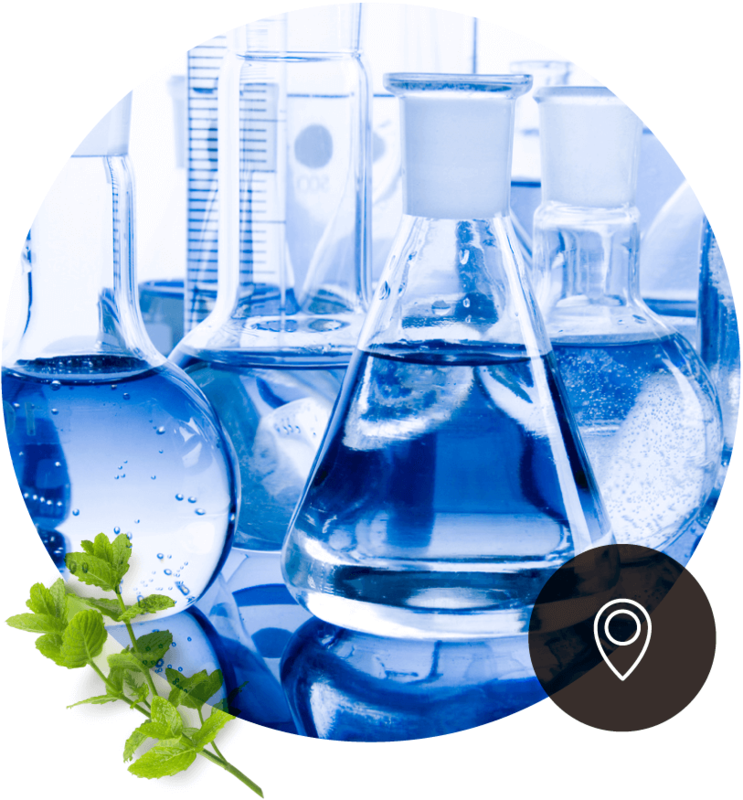 Dr. Thornfeldt was a pioneer in demanding high quality, thorough testing on market-ready products for cosmetics. The Epionce Renewal Facial Cream paired with the Lytic Tx were the first non-prescription products to take on the top retinoids in head-to-head clinical studies. The results were clear – the study participants and physician investigators saw the same anti-aging results, but without irritation reactions often associated with retinoid use. Award winning Lytic Gel Cleanser was launched as an answer to many other cleaners which strip the skin of the oils necessary to keep it healthy. It has since become an Epionce favorite, and is a must have for anyone who wants to feel like their skin is deeply clean without feeling dry or tight. In the early days of Epionce, the co-founder and formulation chemist was based in the New York area, while Dr. Thornfeldt’s medical practice was in rural Idaho. The Epionce brand was growing, and it was time to consolidate their efforts and open an office where they could work together more closely. An office space was chosen in Boise, Idaho, and the first official Epionce headquarters was opened. Dr. Thornfeldt’s mother told him that while she loved the Renewal Facial Cream, sometimes she felt her skin needed a bit “more.” He took her comments to heart, and developed what became the Intensive Nourishing Cream. He incorporated the same concepts as the Renewal Facial Cream and Lite Lytic Tx, utilized different ingredients, and created a new, luxuriously thick cream that has become a mainstay for very photodamaged skin. The Intensive Nourishing Cream can be used to help reduce visible redness in the skin, is a wonderful night cream and is the answer for visible aging on the neck and décolleté. As the popularity of Epionce continued to grow, it was time to move into a much larger building in order to have space for increased manufacturing and distribution needs. Portions of the building have since been remodeled a number of times to accommodate the growing manufacturing needs, and is a FDA inspected, GMP compliant drug manufacturing facility. Epionce was brought into the European market through Episciences Europe, LLP. Since the initial launch in the United Kingdom, Epionce can now also be found in Ireland, Poland, The Netherlands and Hungary. Epionce was discovered by a global Japanese company, Rohto Pharmaceutical Co., LTD. Episciences, Inc. went through the rigorous process of preparing our facility to be able to manufacture to the Japanese standards, and having products properly registered. In March 2009, the first Epionce products were shipped to Japan. Epionce was launched in the Hong Kong market during the Grand Opening of The Hermitage – an Epionce Signature Spa in Hong Kong. This luxurious spa offers a quiet retreat in the heart of Hong Kong featuring the Epionce product line. Dr. Thornfeldt had many patients struggling with dark spots that were not responding well to the traditional hydroquinone, retinol, kojic acid or arbutin topical options. He wanted to utilize a different approach to addressing this concern. The technology behind the MelanoLyte products took a number of years to develop, and then the products were put through a clinical study against the leading hydroquinone and retinol-based treatment regimen. The MelanoLyte products provided the same visible benefits but without the visible redness and sensitivity. During 2011 and into 2012, the Epionce brand underwent a complete brand re-launch with a new logo and brand concept. The original logo with a dated font was refreshed with a new elegant script that alludes to the elegant and premium nature of the Epionce products. Many patients had been asking for a serum to supplement the effects of the other Epionce products. Dr. Thornfeldt had received a minor in Nutrition while in university, and believes that often the skin cells are nutritionally deficient. He wanted a solution that would be comprehensive to help the long term visible health of the skin. After years of research, the Intense Defense Serum was created as the first complete multivitamin serum for the skin. Keeping with Epionce tradition, Dr. Thornfeldt tested the product against leading serums in the medical skin care channel in head-t0-head clinical studies. The Intense Defense Serum provided benefits faster and more completely than those other products. 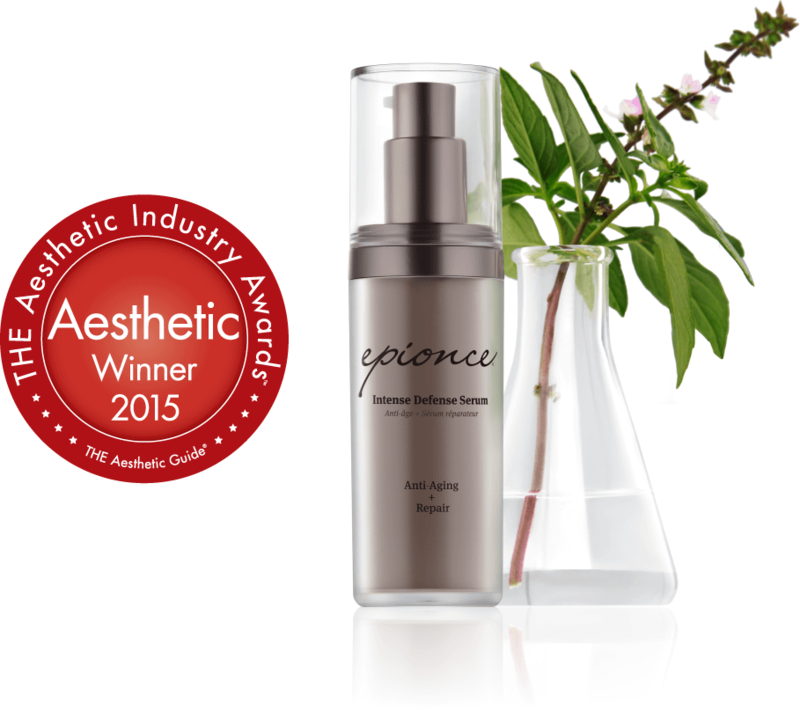 The Epionce product line was announced as Winner of Best Topical Skincare at THE Aesthetic Industry Awards. Epionce Lytic Gel Cleanser was named “Cleanser You Can Really Feel Working” in the Beauty Choice Awards presented by NewBeauty Magazine two years in a row. In 2018 the new expanded Epionce manufacturing facility was built. Exponentially increasing manufacturing capacity, the approximately 18,500 sq. ft. building increases production and research capabilities.